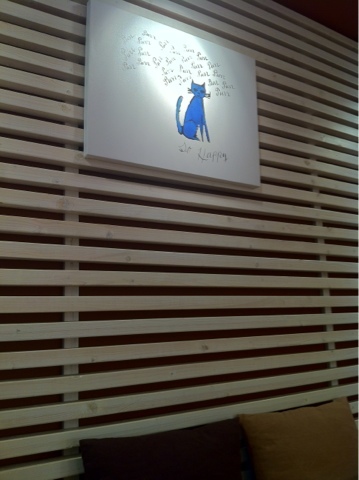 This was actually my first time for Bread & Co. in Korea. 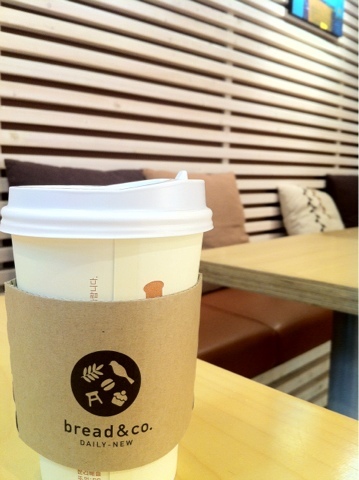 Their coffee is only 2500won for a cup of Americano. I like to make a list of coffee prices in my head to remember because frankly coffee is getting expensive here! Nonetheless, sometimes there are days when you just gotta have a hot cup of coffee no matter how "not so good" the coffee may be. This was one of those cases. I didn't have any expectation for their coffee. Obviously, they're a bakery and not a coffee shop. And it was just that. A cup of warm coffee. Sadly, for 2500won, you get what you pay for. Although I think 2500won could do more. But that's just me being frugal. 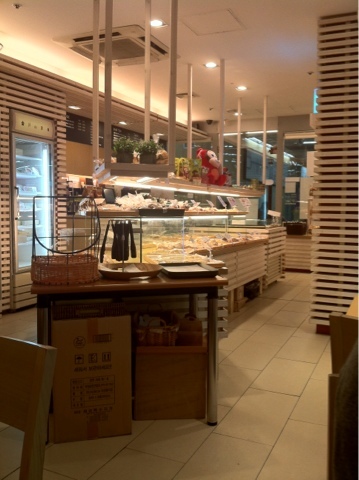 But for the cute interior to sit and sip your coffee (or munch of baked goods), it's not so bad~ This shop is right in the underground of Omokgyo station.